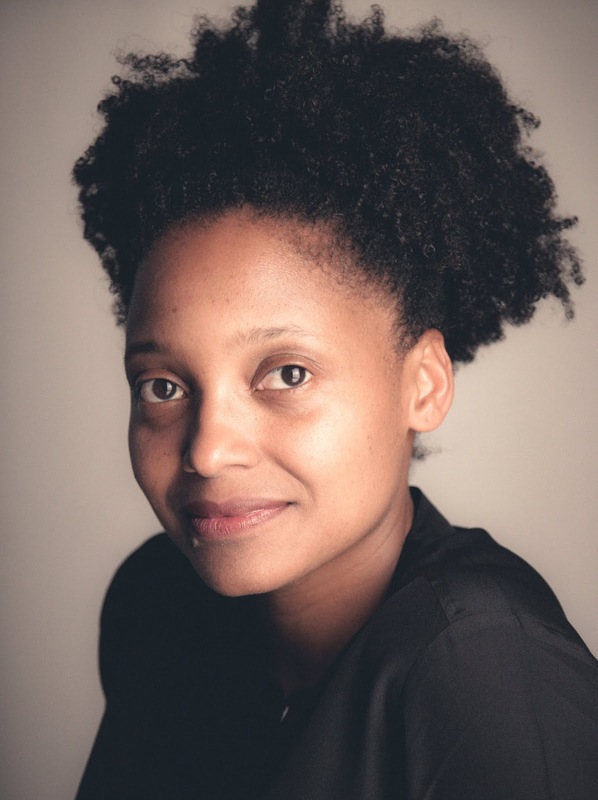 Tracy K. Smith is the 52nd Poet Laureate of the United States. Her collection of poetry entitled Life on Mars won the 2012 Pulitzer Prize. She is the Roger S. Berlind '52 Professor of the Humanities and Director and Professor of Creative Writing at Princeton University and the author of four collections of poetry and one memoir. Stay Thirsty Magazine was honored to visit with Tracy K. Smith at her home for this Conversation about her latest collection of poetry, Wade In The Water, her life, her history and the importance of poetry to her. STAY THIRSTY: In your latest book, Wade In The Water, you see contemporary life often linked to difficult periods in American history. What historical moments weigh heaviest on you? TRACY K. SMITH: I really see American history as a single continuum, but I was compelled to think about antebellum history in Wade in the Water, and the original hypocrisy—the myth of racial inequality—riddling American democracy. I see the Civil War as a failed attempt at resolution. And the Civil Rights movement as a genuine step forward. But what the present reveals, day upon day, is that racism and white supremacy remain deeply and systematically ingrained in our culture. I think we’re reckoning with that reality now. STAY THIRSTY: You grew up in California, but your mother came from Alabama. You were educated on the East Coast and currently live there. Where do you feel most comfortable? Where do you feel you fit in? Have those feelings seeped into your poems in Wade In The Water and why did you dedicate your book to Tina? TRACY K. SMITH: Home is many things for me. It’s family, mostly. But I also have come to feel a deep sense of connection to the energy and the landscape of the East Coast. For many years I thought I couldn’t live outside of the cities here. I like the extremes of weather. I like the visible history. I feel comfortable in all of the places I’ve lived, but the home I’ve chosen for the foreseeable future is among the trees and the foxes and deer and birds particular to Princeton, NJ. Tina Chang is one of my oldest and dearest friends. We became poets together, and we remain committed to supporting each other on our journey as writers. I wanted this book to stand as an emblem of that. STAY THIRSTY: How do your personal emotions about subjects as diverse as slavery, corporate pollution and violence inform your poems? How do you know when a poem has reached its proper balance and is finished when dealing with such complex and intense subjects? TRACY K. SMITH: I’ve always written poems about the things that trouble or confound me, perhaps more so than about the things I wish to celebrate. America is one of those complicated regions in my mind. It defines who I am, but I remain conflicted about what that means. I use my poems to trace out some of those questions, to grapple with some of those fears and wishes regarding who we are as a culture. I feel that a poem of this nature is finished when it’s allowed me to see something from a different perspective, when it’s fostered some sense of revelation, even or especially if that revelation is troubling in some way. STAY THIRSTY: How have your experiences as a woman, an African-American and a mother in a world often ruled by men and wealth motivated your perceptions about art and contemporary culture? TRACY K. SMITH: That’s a tough question to really answer concretely. I know that who I am—a woman, African American, American, born in the late 20th Century and reckoning with life in the early 21st, etc.—has guided me toward the voices, stories, places, possibilities that interest and preoccupy me. I am most interested in the marginal or overshadowed perspectives, the stories that sit outside of or beneath the central American narrative, or the accepted myths of American identity. STAY THIRSTY: How do the many voices in your poems become known to you? Do they have a life of their own or are you in control of them? 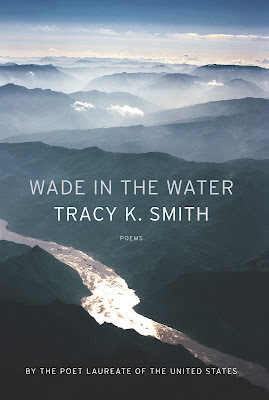 TRACY K. SMITH: I encountered the voices that run through Wade in the Water through books, primary and secondary sources on blacks’ experience during the days of slavery and the Civil War. Those poems and others like them require research, and then I hope that I learn to listen in the particular way that might allow me to draw out what is most compelling, unsettling, lyrical and essential in these various statements and accounts. I think that I’m in control of the craft-based choices driving every poem, but I’m also hoping to be susceptible to something outside of my own conscious sensibility. I’m hoping to be moved and guided by something that is not grounded primarily in effort. STAY THIRSTY: Why were you drawn to spend your life in poetry rather than in prose? TRACY K. SMITH: Poetry feels sacred to me, even when it is playful, secular, gritty. Poetry feels like the syntax of the unconscious mind, or—better still—the soul. I love prose, I write in other forms, but I believe that poetry unites me with my largest, perhaps my eternal self. STAY THIRSTY: In today’s short-attention span world, poetry seems to be gaining new favor. Do you think the millennial generation is connecting with poetry because it is more approachable than the novel? TRACY K. SMITH: I don’t know. And I doubt that is the case. Novels are accessible because we live in prose. Poetry is accessible because a poem nudges us toward the part of ourselves that falls more easily into disuse. I hope millennials connect with poetry because they yearn to break out of the market-driven, product-obsessed mode that advertisers and corporations have succeeded in making more or less inescapable. STAY THIRSTY: Your title poem, Wade In The Water for the Geechee Gullah Ring Shouters, speaks of a time in African-American history that is presented in the song and dance of the Ring Shouter women. As you reflect on your personal history, far distant from the slavery days of the Deep South, why were you so moved by their performance and what still haunts you about your distant roots? TRACY K. SMITH: This question brings me back to the sense of the continuum. When you are young, all history feels like ancient history. But as I age, I realize how near I am to the many generations I descend from. The Middle Passage, slavery, Reconstruction, and the Civil Rights Movement don’t feel remote. I’m proud to descend from such strong, resilient, generous, imaginative and faithful people. I describe them as the “marvelous many gone” in the poem you refer to. And it really was the ceremony of the ring shout that drew up a palpable sense of all those lives, and all they gave themselves to, and all they brought into being. It’s a joyful tradition that commemorates a richly complicated history—one I think America ought to better celebrate and submit to learn from.